Great place for our family to stay. Awesome view, close to Bigfork and not far from a million things to do. Would LOVE to stay there again ! COZY , COMFORTABLE, AMAZINING..... CAN'T WAIT TO GO AGAIN !! This cabin met all of my expectations. Had minor difficulties in finding Albright lane. 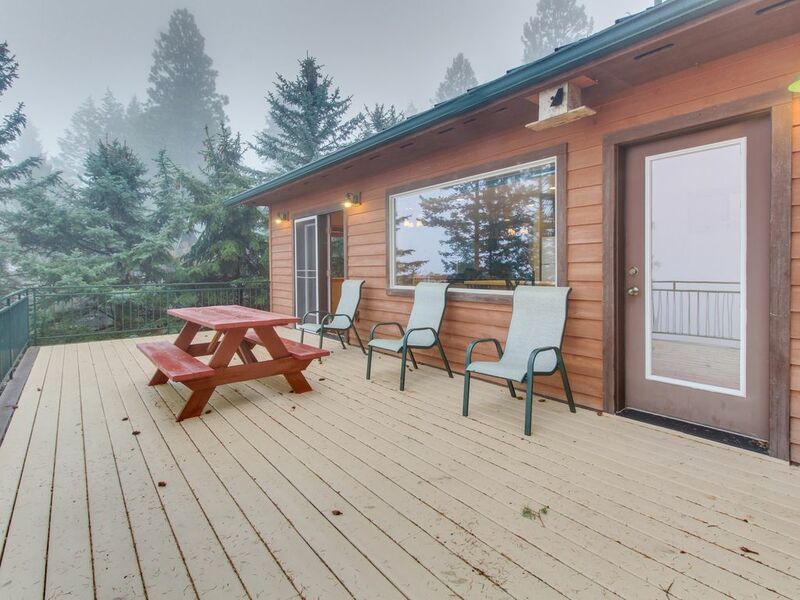 Found the cabin to be ideal for our short getaway to Flathead Lake. Nice quiet setting with a great water and sunset views. Had all of the essentials for cooking and cleaning, except no laundry detergent. Nice gas grill on the deck. Note that yard to waterfront and dock is fairly steep, next door lot undergoing construction. Stairs from parking to living area on “second” floor. I have no complaints and would stay here again if the opportunity arises. Loved our visit to Flathead! Beautiful view and comfortable home. We loved swimming off the dock. The home is located close enough to run into Bigfork for dinner.